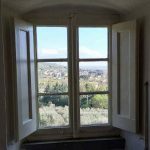 Review of Il Falconiere in Cortona, Italy. 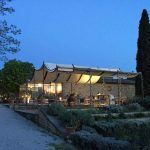 Do you want to stay in Tuscany at a beautiful estate that has been in the same family for 7 generations with its own winery, a Michelin-starred restaurant surrounded by vineyards, wild rosemary and asparagus? Then you should look at Il Falconiere in Tuscany. Il Falconiere means the falconer in Italian and it is in fact true, there is a falcon living on the premises. I stayed here at the end of April 2015 and enjoyed myself a lot. Continue reading to get the full review of Il Falconiere. The Baracchi vineyard at Il Falconiere in Cortona, Tuscany. The walkway towards the Baracchi Winery at Il Falconiere. 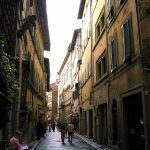 Cortona in the province of Arezzo which is the easternmost province in Tuscany. It is a charming little city with narrow streets, a busy market, cafés, restaurants and approximately 23 000 citizens. Those of you who have seen the film “Under the Tuscan Sun” will recognize Cortona because this is where the character Frances Mayes finds her villa. Il Falconiere is situated in the countryside about 10 min drive from charming Cortona. If you are driving from Florence you will have to calculate about 1, 5 hr drive to Il Falconiere. In my opinion, you will need a car to get the most out of your trip, both as a way of getting here and to explore the beautiful surroundings. You can land a helicopter on the premises. The 22 rooms at Il Falconiere were created after dinner guests not wanting to drive home after a beautiful experience at the dinner table. When I entered my room I got the feeling of a traditional Italian farmhouse, with all the amenities you expect and need. Do remember that the houses are old and have thick stone walls which can make cell phone connection unreliable inside. Il Falconiere is a place to relax and enjoy, not a place where you want to be connected with work at all times. 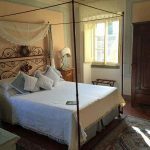 Romantic four post bed at Il Falconiere in Cortona, Italy. The view from my room at Il Falconiere. Head Chef Silvia Baracchi has been awarded a Michelin star since 2002 for her work at Il Falconiere Restaurant. I tried a creative, but still true to the Tuscan origin, menu during my stay. The food was accompanied by an exciting wine menu. If you are in Helsinki or Riga and would like to sample Silvia´s creations, you should attend the event “Dinner in the Sky” this summer. 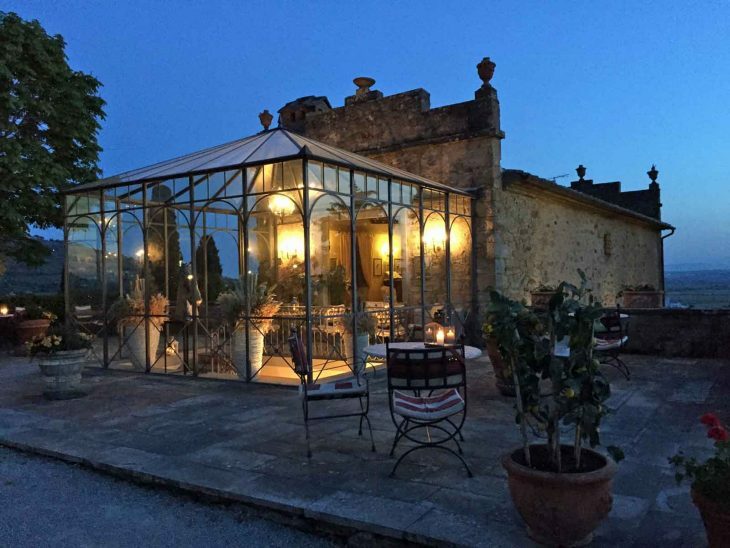 The restaurant at Il Falconiere at dusk. 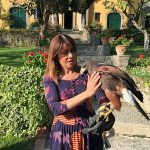 Head Chef Silvia Baracchi with the falcon at “Il Falconiere” in Cortona, Tuscany. 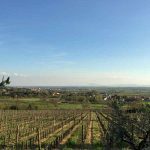 The whole place is an experience and you can easily spend a few days relaxing by the pool or exploring the neighbouring countryside in Valdichiana Valley. 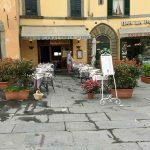 You can explore the small shops in Cortona where you will find everything from local produce and perfumes to handicrafts, clothes and much more. One of the many cafés in Cortona. 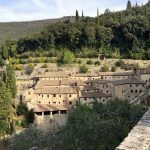 Le Celle Monastery is not far from Cortona. If you are looking for luxury brands, you will find the Prada Factory Shop on the A1 highway from Florence, about an hour drive from Il Falconiere. Usually you can enjoy about 30% discount at the factory shop. The mall in Incisa has more brands to choose from and is at the next exit after Prada on the A1 highway. Winery Tour & Wine Tasting. Ricardo Baracchi´s family has been growing grapes and making wine on the estate since the 1860´s and Ricardo has modernized the winery and its products with a gentle hand with quality in mind. Today the winery offers 12 different labels with 3 of them are scoring 90 and above on winespectator.com. 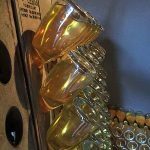 You are always welcome to take a tour of the winery where the tour usually ends with a tasting of 2 – 3 wines. Naturally, you can take a tour of the winery even if you are not staying at Il Falconiere. Just remember to book the tour in advance. 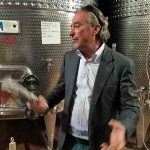 Ricardo Baracchi is passionate about the wines he create. Baracchi´s sparkling wines maturing nicely in the winery. Cooking Class with a Michelin Chef. 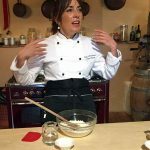 Silivia Baracchi, the head chef at Il Falconiere, will be happy to give you a cooking class. I tried it during my stay and it was a great experience! Silvia Baracchi doing the introduction for the cooking class. 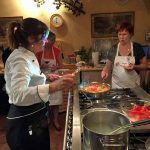 Cooking class with Silivia Barrachi at Il Falconiere. Ricardo is an avid hunter and will happily arrange a hunting experience for you and your fellow hunters. Depending on season you will be able to hunt wild boar, pheasant and other types of game. You have a fully equipped spa with indoor and outdoor pool at Il Falconiere. Since you have a winery on the premises, you will find wine treatments on the spa menu as well. MICE (Meetings, Incentives, Conferences & Events). If you are looking for a content-rich, hard-core conference with lots of Powerpoint and multimedia this might not be the best place for you. If you are looking for a place where your team can regain energy, let their creativity flow with lots of possibilities for untraditional conferencing and reward them at the same time then you will be in the right place. Another good thing is that you will not risk bumping into colleagues or employees due to the location. Speak to your meeting planner. If you are celebrating an anniversary, wedding, a birthday or simply want to spoil your team, you are in the right place. You have the venue, the food, the wine and stunning scenery which all are important ingredients for an anniversary or incentive. Il Falconiere is a member of Relais & Chateaux and Virtuoso which both are quality organisations. 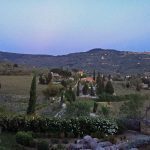 If you want to explore a genuine part of Tuscany with excellent food, wine and experiences Il Falconiere should definitely be a part of your trip. Would I stay a week? Probably not because I am the restless type. I would stay for 3 nights. I hope you enjoyed my review of Il Falconiere. 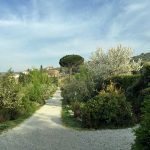 If you are interested in more about Italy, you might want to check my other articles about Italy. Do you have questions or comments about Il Falconiere in Cortona, Tuscany? I would love to hear from you via email, in the comments below, on Twitter, Facebook or Google+. SAS is moving from Heathrow to Stansted.